As promised, we are delivering to you a snack in the form of a video representing the current gameplay. The game is still in an early stage of development, so you can expect many changes in the final product. We are pretty confident that the changes will be for the better, though. Let us know what you think & feel about Vaporum in the comments below. Check back soon for more updates on development, sneak-peeks and other stuff. Hello and welcome to the Vaporum blog! This blog is all about the development of a new indie dungeon crawler game. We will be bringing you more details about the game and the development itself in the days and weeks to come. Recent success of Legend of Grimrock has proven that the gameplay of classics such as Dungeon Master, to which we keep deep sentiment, is still in high demand. While true to the genre’s roots in basic gameplay, Vaporum is a modern, real-time dungeon crawler situated in an original steampunk setting (think Jules Verne, H. P. Lovecraft and the like), a world dominated by steam-powered machinery. We want to bring you a deep game experience that is smooth in terms of controls and rough in terms of challenge and thrilling storyline. 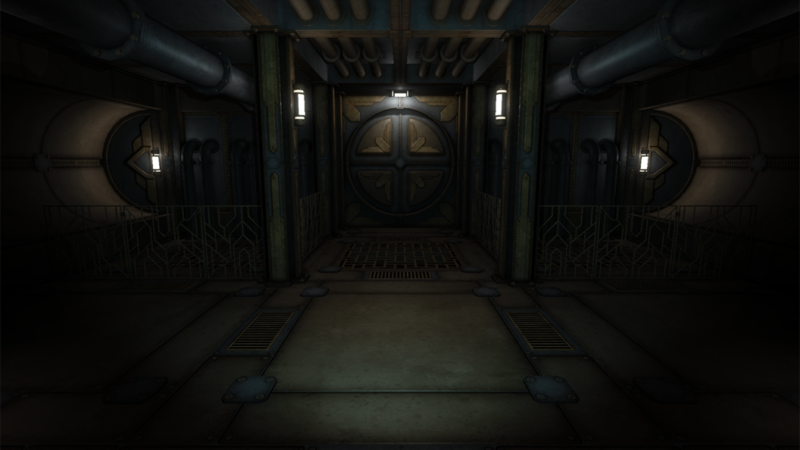 And while you wait for more info, below is a screenshot from the game to give you a glimpse of what Vaporum has in store for you. Stay tuned, bold fellows!